The Jargon of VA Claims. I am raising 2 teenagers …. a challenging task in any generation. This new generation of kids, however, adds an extra twist. Due to the proliferation of chat and social media, I don’t even recognize half of the words they use. Most of the words don’t even appear to have vowels. I have a feeling, sometimes, that they are telling me something very, very important….and I’m just missing it. The same problem exists in VA Claims and VA Appeals. 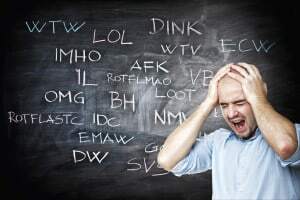 The language of VA disability claims is so unique and nuanced, that saying the wrong thing to the wrong person can cause incredible confusion and leave your VA Claims in…. ……the Box of Crushed Hopes and Dreams. Call it what you want, we MUST learn the language of VA Claims if we are to have any hope of cutting through the fog of VA Claims. This is the challenge – for decades, maybe even centuries, the language of the VA Claims process has been a closely guarded secret. The Veterans Law Blog is working to change this. I’ve educate you on the meaning of $100 Lawyer words like legal credibility, the concept of service connection (which even the VA, BVA and CAVC don’t fully agree what they mean). 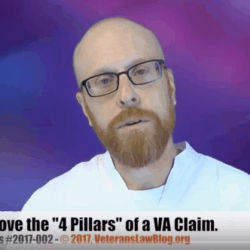 I’ve teach you the 4 Pillars of a VA Claim. I’ve shown you how to think of “service-connection” as a “bridge”. If you learn to speak the language of the VA Claim, then filing a VA Claim and getting out of the VA Hamster Wheel becomes a much easier task. Let’s start with the Basic Jargon of the VA Claims Process. Do you know the difference between VA Claims and VA Appeals? The VA Claims are what the Veteran files to start the VA Disability Compensation “ball” rolling. Original Claim: This type of claim occurs when you have a new condition that you wish to have service connected. It might be filed close to separation for service, or it might be filed decades later. Even if you are already service-connected at 80% for 6 conditions, the claim for service connection of the 7th condition would still be an Original Claim – if you have never claimed that condition before. Claims for Increase: If you have a previously service connected condition, and it gets worse, you can ask the VA to increase your compensation – this is called an “Increased Claim”. 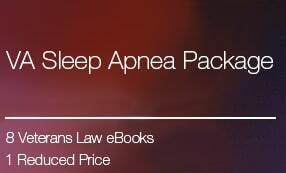 This differs from an appeal of a low-balled rating of your condition on the original claim. Many Veterans lose 1-4 years of past-due benefits by filing a Claim for Increase after the VA low-balls their original claim rating….when they should file an appeal to preserve the Claim Effective Date and maximize their past due. Reopened Claim: When you have previously claimed service-connection, and the VA denied your claim, you can later Reopen the claim – if you are past the time to file your appeal. If you still have time to appeal – then appeal. Don’t file a Claim to Reopen, as it will cause your case to be backlogged. Learn more about what to do to Reopen a Claim by clicking here and watching a short video. CUE Claim: This type of claim is the equivalent of a grenade with the pin pulled. Many Veterans believe it is the “cure all” for VA error in a claim – and then they file it at the wrong time, and not only backlog their claim for decades, but shoot themselves in the foot by filing a CUE claim at the exact wrong time. So what is a CUE Claim? Essentially, it is a request to reverse a previously final decision of the VA – after the appeal period has expired – due to Clear and Unmistakeable Error. CUE is very, very, very, very, very rare – the VA has 1,000 legal defenses against a CUE claim, and unless it is done with the exact perfect facts, by an experienced Veteran or representative that knows how to “run the gauntlet”, most CUE claims stands a pretty good chance of losing. More than that, though…CUE should only be used when you have no other appeal or claim options remaining. For example, too many Veterans file CUE claims when they should file Reopened Claims, or an Appeal…and they not only waste years fighting a fight that they cannot win….instead of fighting the one that they CAN win. The CUE Claim, by the way is a perfect example of the Jargon Problem – the Veterans Court has said that there is no such thing as a “CUE Claim”….it is instead a Motion to Revise a Prior Rating Decision to Grant an Earlier Effective Date Based on CUE. But the VA Regional Offices don’t really care what the Veterans Court says most of the time, so they are requiring Veterans fill out an Original Claim form when filing CUE. It’s absurd, and doesn’t allow the Veteran to prove up the elements of the CUE Claim, or Motion to Revise Using the Court’s Unnecessarily Verbose Title. Regardless what TYPE of claim you file, the important thing is proving it. The more YOU do to prove the claim, the fewer mistakes the VA can make, and the quicker the VA grants the claim. 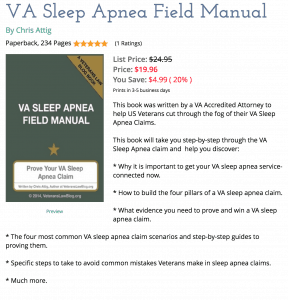 To help educate Veterans who want to file their own claims, and prove them up the right way, I’ve published a massive training package – loaded with 1 hour of video instruction, workbooks, forms and guidebooks – to teach Veterans how to file a VA Claim. While the materials are generally oriented to filing a VA claim for original service connection, the knowledge in the “How to File a VA Claim” Package can be used to build a better Claim for Increase or Reopened Claim. One word of caution – DO NOT use these training materials to build a CUE claim – I’ll be talking more about CUE claims in the future, but be very very careful when filing a CUE claim. You can do a LOT of damage with a CUE claim. The VA Appeal is what the Veteran files when he or she is not satisfied with the VA decision on their claim. When you get a VA Ratings Decision, and are not satisfied with the outcome, the correct course of action is to file an appeal. Some VSOs will try to strong arm you into filing a “reconsideration” request…spinning some nonsense that it is faster than an appeal, or that appeals take years. This is part of the smoke and mirrors game that only serves to confuse Veterans. There is no such thing as a Request for Reconsideration of a VA Ratings Decision. Follow your VSOs “advice” at your own peril – you stand to flush a LOT of money down the toilet if you use this non-existent process to secure VA disability compensation benefits. So again, the only course of action to follow if you disagree with a VA Ratings Decision is to file an appeal. 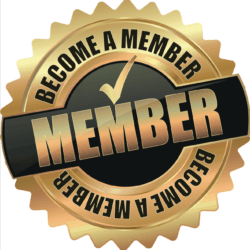 You can file an appeal of a denial of service connection, an incorrect impairment rating, assignment of the wrong effective date, failure to consider Special Monthly Compensation, failure to consider TDIU, and so much more. The first level of the appeal process is the appeal of the VA Ratings Decision to the Board of Veterans Appeals (the BVA). The second level of the Appeal Process is the appeal of a BVA decision to the Court of Appeals for Veterans Claims (what I refer to as the CAVC). You can learn more about the levels of the VA Claims Process in my Veterans Law Guidebook “Climbing the VA Claims Process” – where I will share with you my belief that the VA Appeals process is a ladder – not a hamster wheel. Knowing the Difference between a VA Claim and a VA Appeal is a Big Deal. If you file a claim when you should have filed an appeal, you will backlog your claim for years. I see this all the time – Veterans with time remaining to appeal a VA Ratings Decision file a Claim to Reopen….this is like asking the VA to open a door that is already opened. It will confuse their bureaucracy, show them that you don’t know what you are doing, and will inevitably cause you to wait much, much longer than you really should have to. Likewise, if you build your original VA Service connection claim like a VA Appeal, you will not achieve the results you want, and you will wait a long time. So…when you know whether you need to file a claim or an appeal, dive into the Veterans Law Blog and start reading up on how to fie your VA Appeal …. or, if you haven’t yet filed your VA Claim, start discovering the better way to file and develop and argue your original VA service-connection Claim. In the comments below, tell me any other terms or jargon that the VA uses that confused you, or that you still don’t understand, and I’ll start explaining what they mean in separate posts! VAMC = VA Medical Center. Basically, the facilities where you go for medical treatment at the VA.